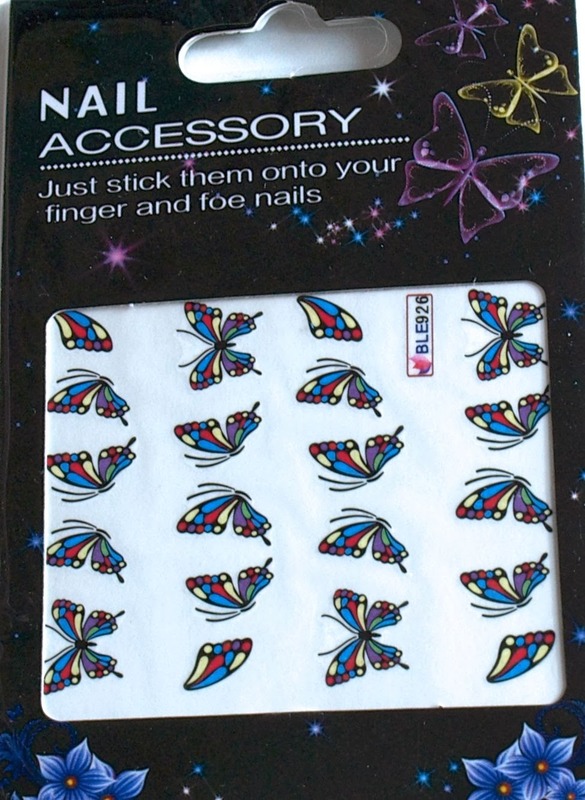 The decal set ($0.99) comes with 20 butterfly water decals. Some of them are full butterflies and some are half butterflies. 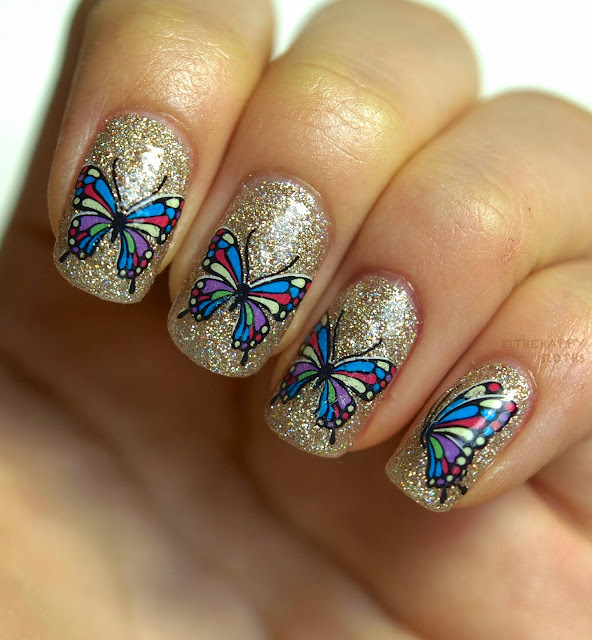 For my pinky, I actually overlaid two half butterflies on top of each other to get a more three dimensional look. 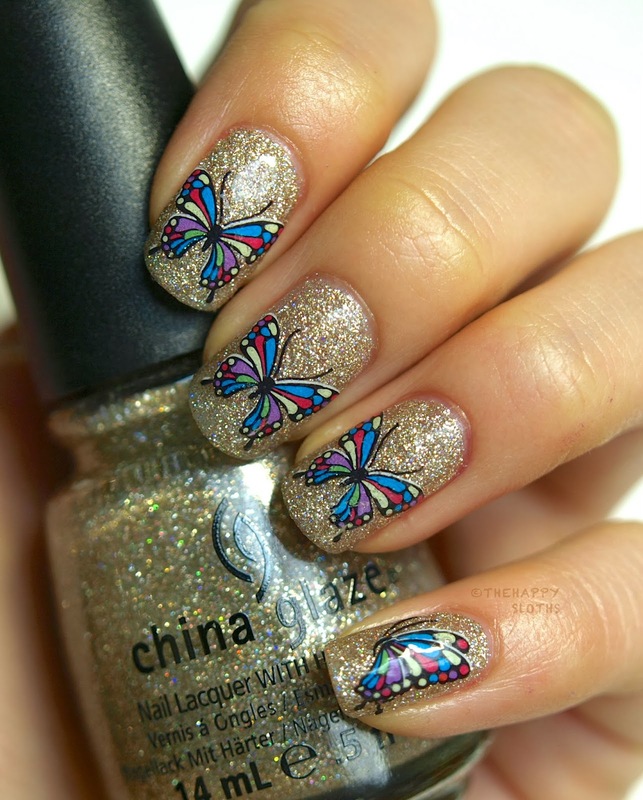 For the base color, I used a semi-holographic glitter from China Glaze called "I'm Not Lion" to make the butterflies feel extra glamorous. In hindsight, I should have used a topcoat over the glitter before I applied the decals because when I applied the topcoat over the decals, the decals sort of sank into the grittiness of the glitter. But overall, I really like how it turned out. 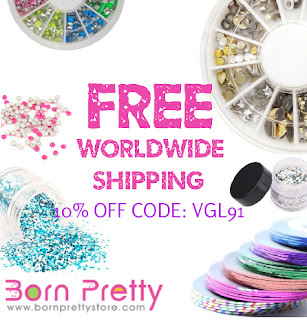 If you are interested in the decals, click the banner below and use the code VGL91 to receive 10% off your purchase.